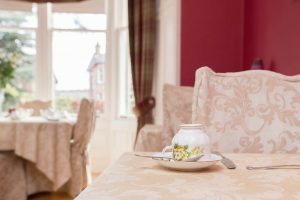 A very warm welcome to Chrialdon House Bed and Breakfast, your home from home in the Highlands of Scotland. Chrialdon House in Beauly is ideally situated on many of the tourist routes to Loch Ness, Fort William, The West Coast and The Black Isle where you can enjoy golf, fishing walking and many other activities. 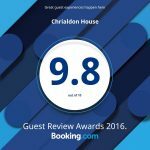 Whether on holiday or on business, Chrialdon House have all the facilities to make your stay a comfortable one. From the initial email conversation with Isobel, the whole stay was excellent. A very warm and welcoming guest house with a great breakfast too. I'll definitely be booking in again next time I'm in the highlands! Delighted to stay very warm welcome and love to return some day. Very clean in all areas, luxurious bedding lovely room and central location. Would not hesitate to recommend to others. Great Breakfast. Walking distance to shops. Glen Affric stunning and only 40 mins drive away. Chrialdon house has restored my faith in b&bs. It was perfect. Great breakfast, fab biscuits & chocs. Lovely room. Isobel was wonderful. I had the use of a fridge and microwave which was great for me. Beautiful house & location very clean just perfect. Thank you.